I have one good news and one bad news. 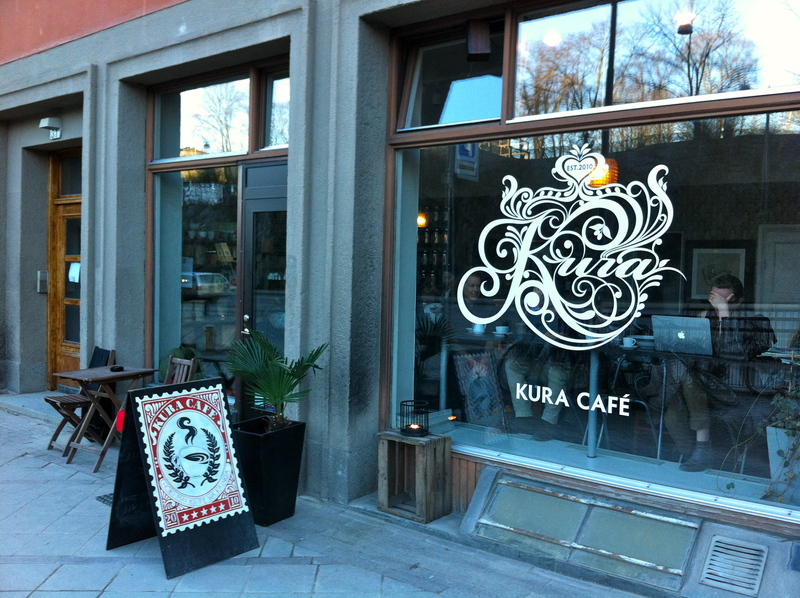 The bad news: Kura is no longer on Torsgatan in Vasastan. A great loss for the neighborhood. The good news: Kura is now part of this new K25 project on Kungsgatan. The same friendly staff and the excellent coffee, now available around the corner from my office! K25 is a bit like a high scale food court. You will find Kura right in the entrance on your right. 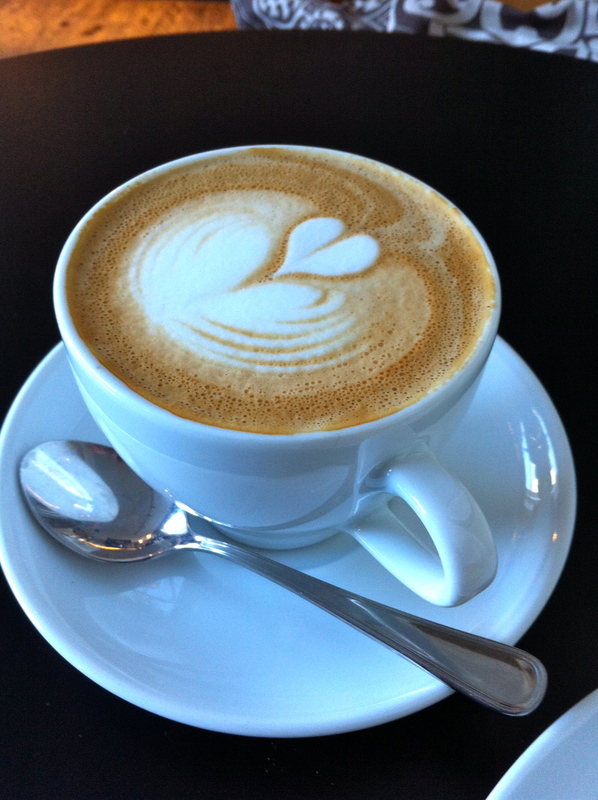 Whatever you have at K25, make sure to get your coffee from Kura on your way out. Food is also available at Kura but the competition is tough at K25, so nobody will blame you if you don’t always eat at Kura, as long as you get your coffee there! Today has been a fantastic day so far! First, at the end of my run this morning, a fellow runner stopped me to chat about the pleasure of running in what felt like spring. Coming from a city where running is almost a religion and runners from all levels (I, myself, am more of a slow jogger) say hello to each others on the running trails, my attempts to wave at Swedish runners in Stockholm had until now been met with surprise if not indifference. But I can be persistent! Then, after hearing so many stories about how one is supposed to avoid one’s neighbors in apartment building, I finally met the woman from the 2nd floor today. We chatted for a few minutes and she then introduced me to her husband, who recognized me on the streets an hour later and said hello. Later in the afternoon I met a new friend, Joanne who had contacted me through this blog. Joanne is a fellow Canadian who is now studying in Stockholm. When she is not studying she is doing pretty cool stuff and has her own website. I’m not quite sure how to describe her work but I highly recommend you check out her site. You can also see some of her work on The Mixtape Club. If you have read other posts on this site, you may have noticed that I have a pro-Södermalm bias. And it is quite normal because Södermalm is great and has some of the most awesome cafés in Stockholm. But I am also a big fan of Sankt Eriksplan so when Kim recently suggested that I should check out Kura, I did not hesitate long. Her description of the café looked pretty good and the locations was good. Joanne and I agreed to meet there at 14:00 today. I got to Kura Café a bit earlier because I suspected that if the café was as good as I expected, it would be hard to have a table. And I was so right. Thankfully, after walking around for quite some time, a table became available. That was great because it also gave me time to eat something. I had heard that the food at Kura was great. And it is. I had an excellent turkey and cheese sandwich with a cappuccino as I waited for Joanne. As soon I finished the sandwich and the cappuccino, Joanne arrived and it was time for coffee #2. But before we had time to order, my friend AP walked in. Yes, AP moved in the neighborhood last month and on her way to Systembolaget to get some wine she saw me through the window. It is a nice feeling to meet friends by coincidence in a new city…. Joanne had a Flat White and I had a double espresso. We spent a lot of time talking about everything, but mostly music, cafés and life in Stockholm. Coffee at Kura was so good and the ambiance excellent. I was in no rush to leave so I decided to have another coffee: this time I had the double macciato. The guys running Kura are from New Zealand. And like most people I met from New Zealand, they are extremely nice and friendly. Their aim, according to their website, is to “offer customers outstanding quality in every department, to exceed your expectations and also to deliver our products with an experienced, welcoming and passionate approach. The most important thing for us is to enjoy what we do, and of course make sure you enjoy it too!”. Well, mission accomplished. Obviously, those kiwis know what they are talking about when they talk about coffee. Kura has some very amazing coffee. It also has a nice collection of tea. 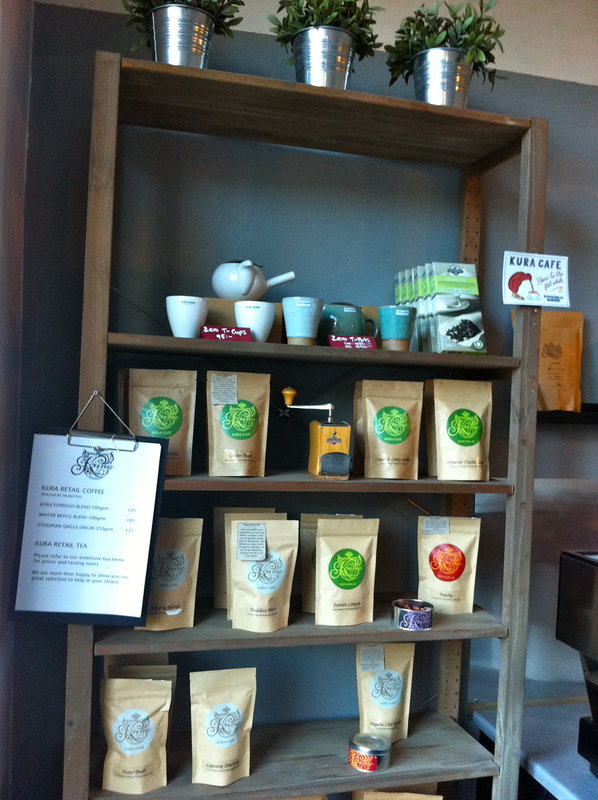 Both coffee and tea can be enjoyed at the café or bought and taken home. Kura also offers catering services, which must be amazing. 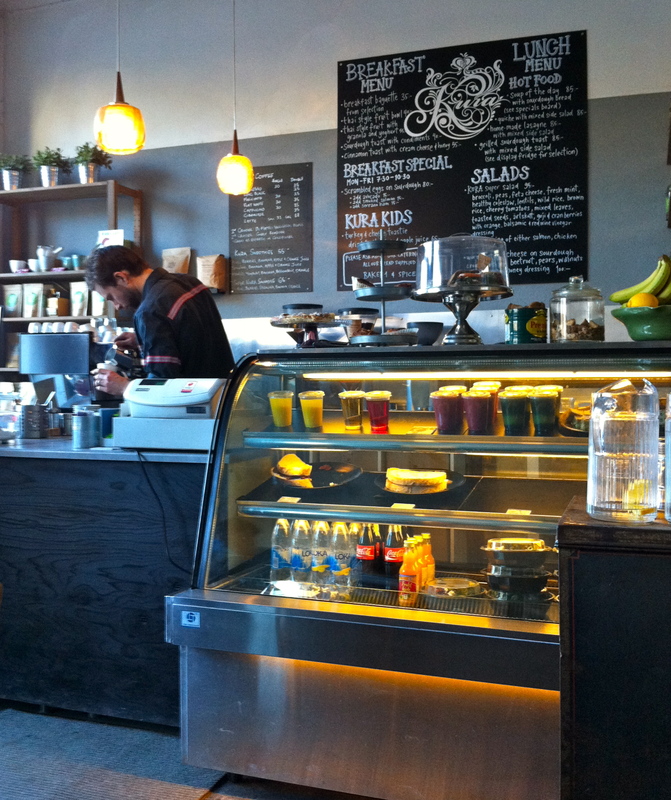 Great coffee, friendly staff, good location… what else could you ask for? WiFi? Well, it is also available at Kura. I suspect I will spend more and more time at Sankt Eriksplan on Saturdays (unfortunately my work schedule doesn’t fit well with their opening hours on weekdays). Meanwhile, I suggest you go and visit their website. There you will also learn what Maori word Kura means. The older I get, the more I drink coffee. This entry was posted in Coffee, Friends, Music, Serious, wifi. Bookmark the permalink. Hello mate! Thanks for coming and checking us out.I stumbled across your blog a couple of weeks ago and was hoping you would make it here to Kura! Hope to see you back here soon! Hi Cy! I hope to go back this weekend, hopefully for breakfast on Saturday. Thanks again guys! I really enjoyed that ginger crunch and the kardemummabulle today. 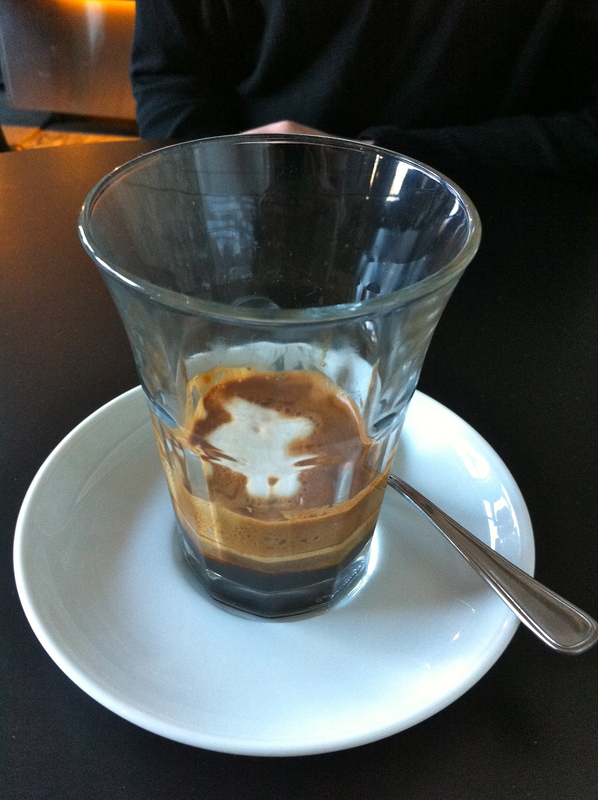 And of course, the double espresso and the double shot of macciato were excellent! I also enjoyed speaking French a bit! Ah! Glad to hear that we had coffee “together” 😉 Were you part of this group of girls sitting by the wall? Yep, we should do coffee again. And I’ll continue to share info on exhibits and music shows I am aware of. I always love the cool designs that come on top of cappuccinos and lattes. I wish I could do that to my coffees. I know! It looks so easy when they do it but I never managed to anything nice like that. Kiwis in Sweden! Wow – cool find. Lucky duck- It’s not feeling like Spring here yet. Having once or twice been a new person to a new city myself, I feel like you start to identify a place as a “home” when you make connections with neighbourhoods and the people in them. The idea of friends passing by on the street reminds me of my own small town, but in fact, you are making your way in a big city! Have a great weekend, Friend in Sweden! ps. That double macciato is what I would have totally ordered! Hello friend from the True North! Somehow I find it easier to integrate in big cities than small towns. And I am very grateful that I met great people here in Stockholm. Hope you will enjoy your weekend as much as I do! PS. That macciato was awesome.